Titus Flāvius Caesar Vespasiānus Augustus was Roman emperor from 79 to 81. He succeeded his father Vespasian upon his death, becoming the first Emperor to come to the throne after his own biological father. After barely two years in office, Titus died of a fever on 13 September 81. 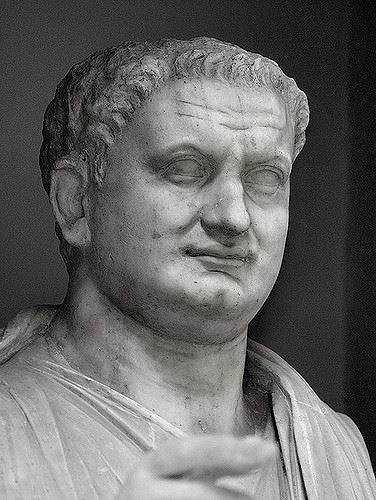 He was deified by the Roman Senate and succeeded by his younger brother Domitian.